For news and events please visit us on facebook! Like us! Do not miss an event! What do we believe in? LOVE! And Karma. 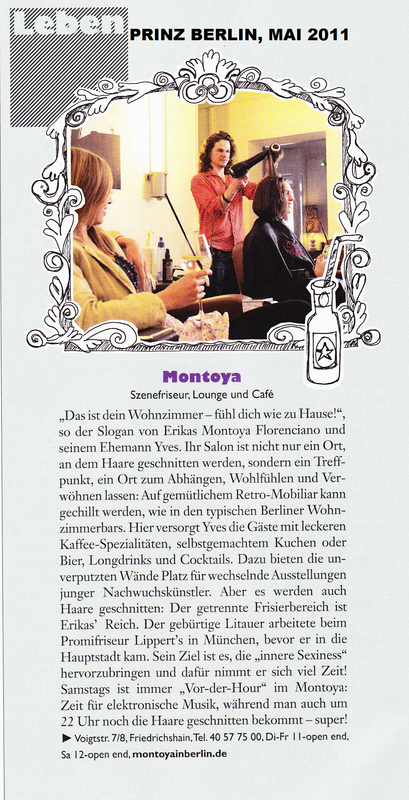 We are MONTOYA: Your Top Hairdressers, Your Living Room in Berlin Friedrichshain. Let us coddle you, let us beautify you. 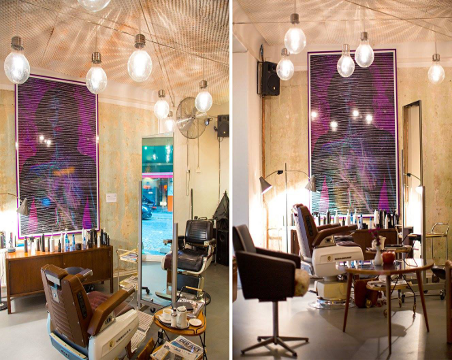 We offer the best hairdressers in Berlin, quality, time and fantastic results. One of our specialties is to cut hair in a way that evolves what you really are: TRULY YOURSELF! We do cut hair, we do styling, we do colour. We will grant your hair intensive care so it regenerates, so it shines. Be counselled by our hair dressers, an international team of top stylists, who hold the highest qualification and very much of experience. We take our time for you, we are friendly, professional and honest. 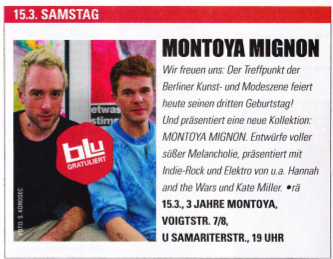 Some say we are the best hairdresser in Berlin. Don´t forget: You are in your living room - feel at home! 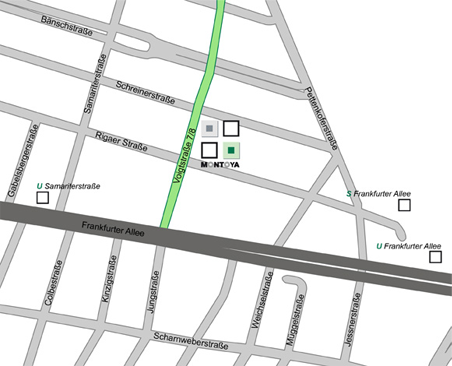 This is Berlins venue for hair fashion. Bohème, industrial, cosiness. Independent and Electronic music. Hair Salon, Living Room. 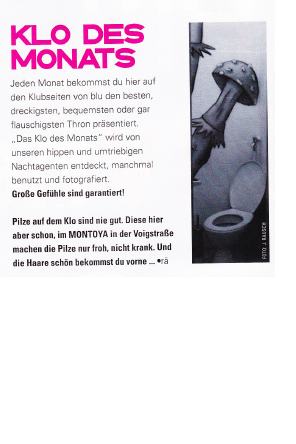 MONTOYA - COIFFEUR. LIVING. ROOM. Come in, take time for yourself, for your friends. Enjoy delicate coffees and delicious teas. Cool beer, great wine and many other drinks. We have changing exhibitions showing visual arts, photography, paintings and installations. Berliner rising newcomers are here to present their artwork to an interested public. We are your stage! 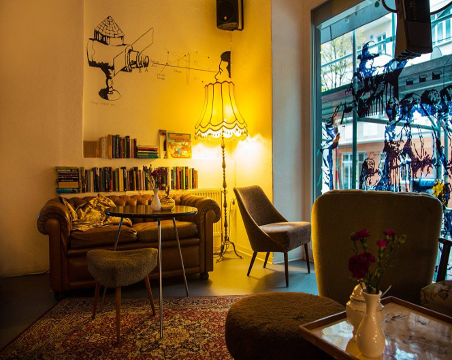 Don't forget: This is your living room in Berlin - feel at home! Dear press, on this site we provide you documents for your use to download. Please contact us for a personal meeting. We are always looking forward to welcome you as our guests. Please apply in our salon! We would like to give newcomers in the field of fine arts (painting, photography, installation) the opportunity to show their work to an interested public. If you need space and viewers for free come to our place and present your work. Please bring some samples with. We are looking forward to an appointment with you!